There has been fantastic water saving by Cape Town residents and visitors alike, which has meant “DayZero” when the city expects to run out of water has been pushed back to 9 July. 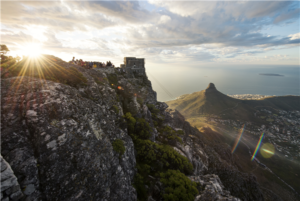 This is great news as it is in the midst of the Cape Town rainy season and is likely to be further extended as soon as the winter rains arrive in Cape Town. Various water saving projects continue to be implemented in the city, including desalination plants and extracting water from various aquifers around the city. Nearly all the hotels in the city and surrounds have their backup plans in place to supply water to guests and have ensured its business as usual. For Example the V&A Waterfront desalination plant which is due to be online shortly will produce 3 million litres of water per day – This will supply hotels, restaurants and shops within the precinct. South Africa has its annual budget speech on the 21st of February and our Finance Minister has allocated R6 Billion to drought relief in South Africa. For any specific queries or concerns on the water crisis and your group in Cape Town, please do not hesitate to contact one of our offices.